Bangladesh rolled over West Indies in the second Test match at the Sher-E-Bangla stadium in Mirpur as they beat the visitors by an innings and 184 runs. After getting dismissed for just 111 in the first innings, Shimron Hetmyer put on show in the second innings as he scored a 92-ball 93 with one four and nine sixes before he was caught in the deep eight runs short of his century. But, his knock wasn't enough to save his team from an innings defeat as they were bundled out for 213, handing the hosts their first-ever innings victory in Tests. Apart from this, the Indian team landed in Adelaide ahead of the first Test and Reeza Hendricks scored his second consecutive century in the ongoing Mzansi T20 league. Let us take a look at other things that happened in the world of cricket over the last 24 hours. With just a few days left for the first Test between India and Australia at the Adelaide Oval in Adelaide, it looks like a green top will be welcoming Virat Kohli and co. in the first of the four matches. 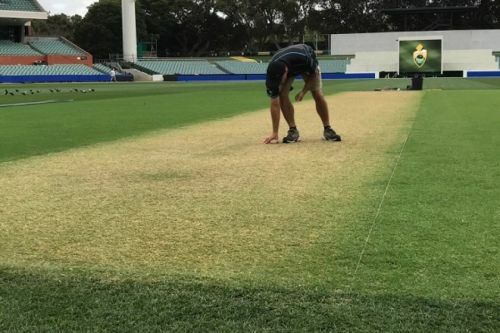 Adelaide Oval curator Damien Hough has promised to leave some grass on the pitch for the series opener. “We won’t do anything differently. The preparation will be the same. The only difference is we get the covers off earlier and we start earlier. We do the same preparation for red-ball cricket and pink-ball cricket at Shield level. The best way to get an even contest is to leave some grass on there and get that balance between bat and ball. Right now, we really feel that this is where it’s at for the pitch," Hough told The Weekend Australian. If this is the case, the fast bowlers in both the teams will be licking their lips to bowl in the first Test.